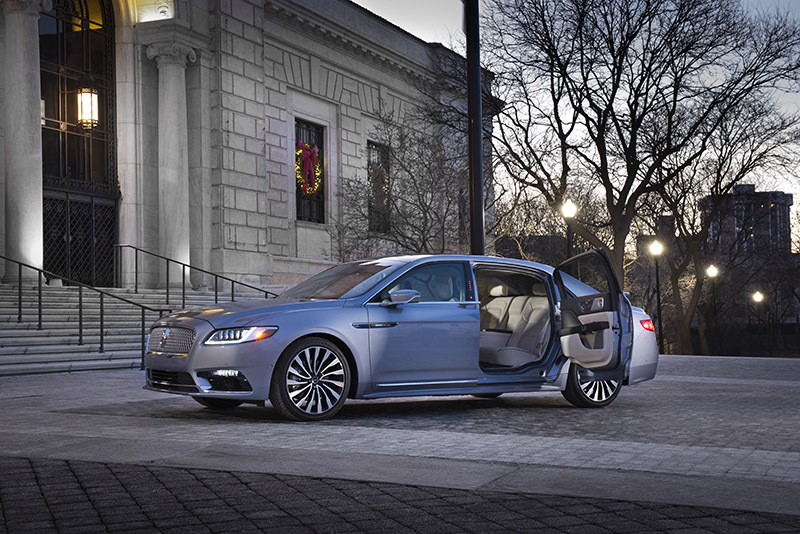 Topline: The Lincoln Continental was the post-war American sedan that popularized the use of coach doors. 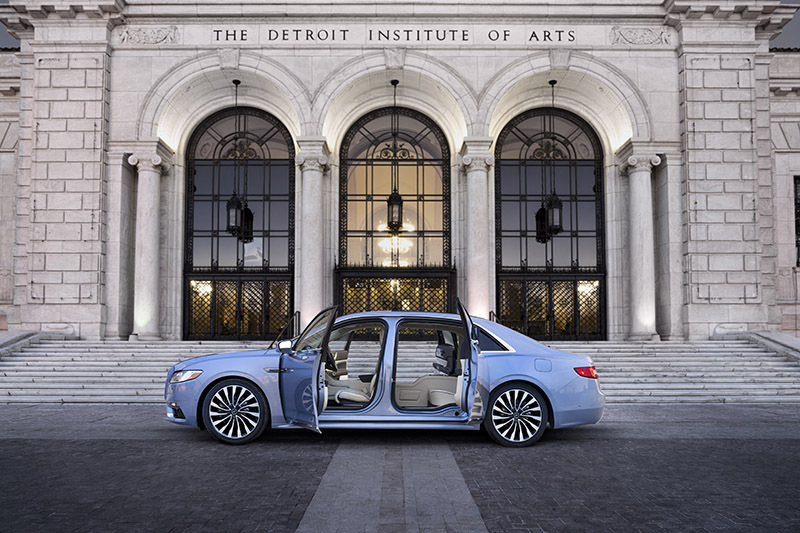 Now, after a 40-year hiatus, Lincoln says that the rumors are true and it will bring its staple design for a limited run on a stretched wheelbase; meet the Lincoln Continental 80th Anniversary Coach Door Edition. What's New: The Continental will exclusively receive Ford's refined, yet familiar, 3.0-liter twin-turbo V-6 powerplant, enabling the driver to have 400 horsepower and 400 pound-feet of torque available at their request. Lincoln notes that its clients (which is an interesting choice over the word drivers) will be able to choose different drive modes to enable different experiences on the road. But the focus of the Continental isn't what's under the hood—but what's in the cabin. The coach's opulent interior is meant to be the vehicle's most predominant aspect, enabling the consumer to feel as if they purchased the domestic equivalent to a Mercedes-Maybach S 650 or perhaps BMW M760Li, just with a little less oomph under the bonnet. Clients are excited to sit on the premium seats and listen to the car's exceptional audio system while utilizing the built-in tablet holder and wireless charging pad to juice-up their phone. 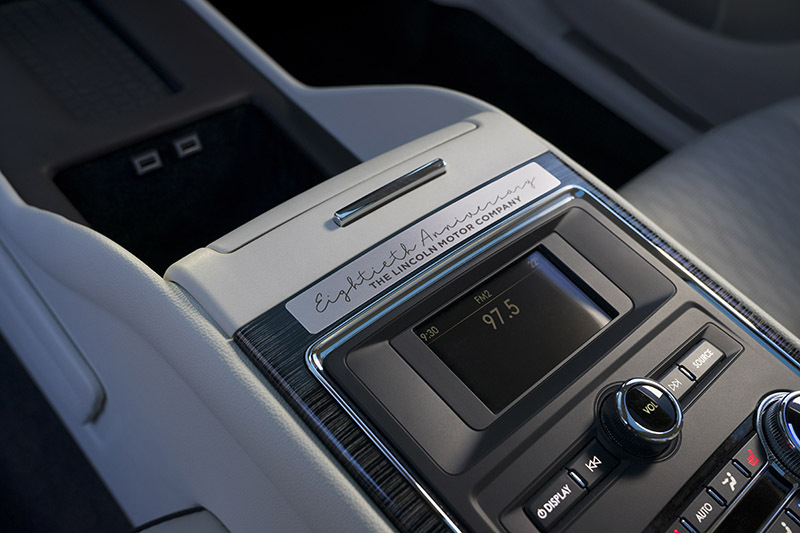 The interior features either Lincoln's artic-themed Chalet color set, which focuses primarily on a monochromatic white and black scheme or a beautiful black and chestnut motif it calls Thoroughbred. While looks may help to sell, comfort is what keeps passengers content. 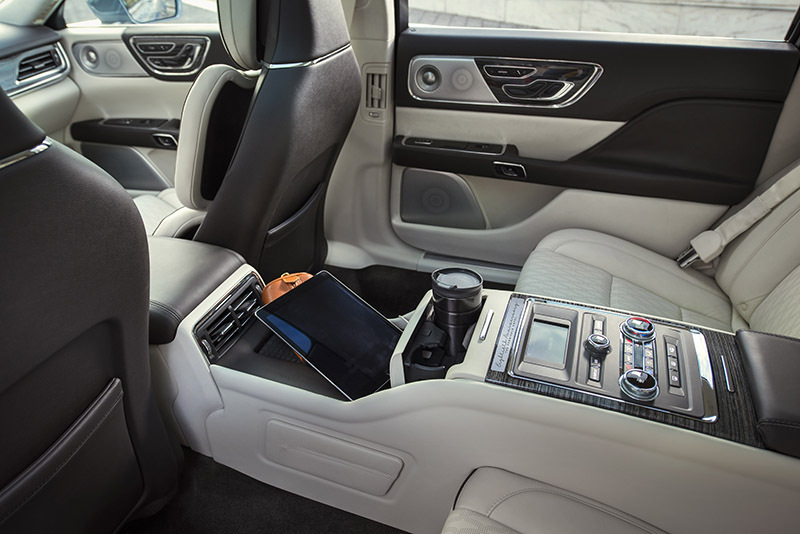 Aside from Lincoln's reputable ride quality, the automaker has stretched the wheelbase an extra six inches to allow for extra rear legroom. 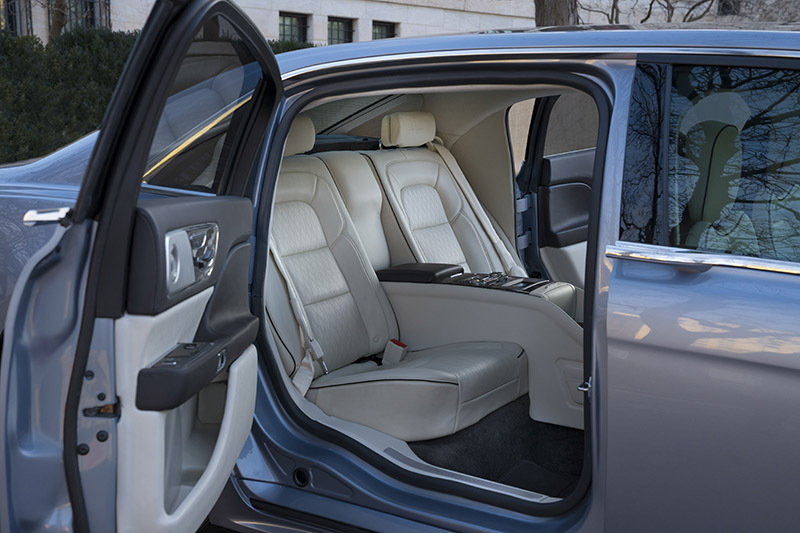 The coach doors also open a full 90 degrees for passengers to have easier entry and exit to the rear seat of the car, hinting that either the vehicle will be issuing a large number of parking-lot door dings, or that those in the rear will likely be chauffeured to their destination. 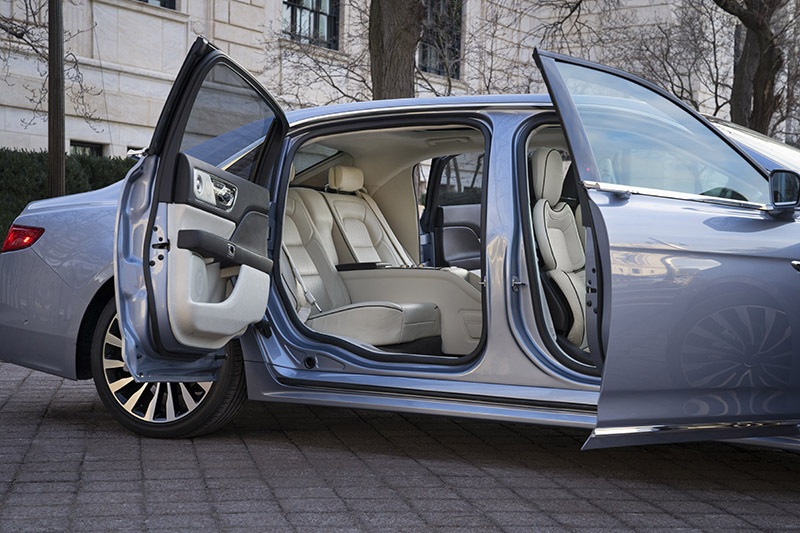 “People appreciate elegance and glamour, and they want the easiest way to get in and out of a vehicle,” said Lincoln's design director, David Woodhouse. "These doors answer to both." What You Need to Know: It's clear that this particular variant of the Continental is aimed at the uber-rich who have their own drivers (or potentially limousine agencies); those buying this vehicle aren't doing so because of the amenities directly attached to the steering wheel. But don't worry - drivers will have their comfort addressed as well. The front seats have 30 different means of adjustments to ensure that even the longest of drives won't require a break. Lincoln also has added a head-up display to the new Continental so that drivers never have to take their eyes off of the road. No word on any kind of driver-assist technology being included, however. 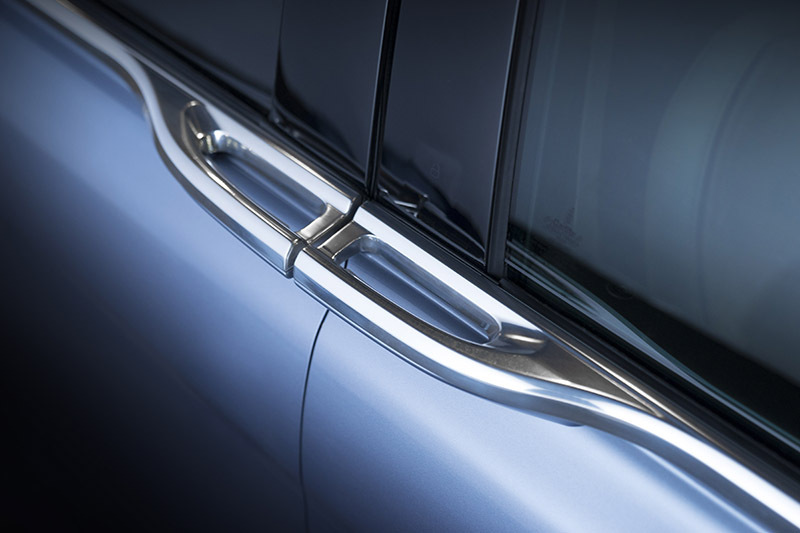 Each of the 80 examples produced in 2019 will be individually numbered on the door sill. Lincoln says that it will also produce a "limited number" of the sedans in 2020 but does not go into detail on a specific quantity. Pre-orders begin immediately and are available at Lincoln Black Label dealers for an undisclosed sum. American sedans are on the verge of extinction, and if the Lincoln Continental is to die too, at least it'll leave a pretty corpse.